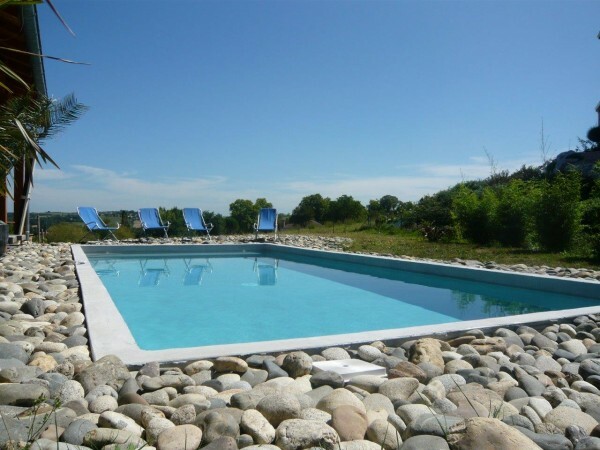 MARINAL builds traditional one-piece full reinforced concrete swimming pools. Concrete is traditionally made from sand, gravel, water and cement. The concrete used by MARINAL comes from concrete plants certified in accordance with European standards. 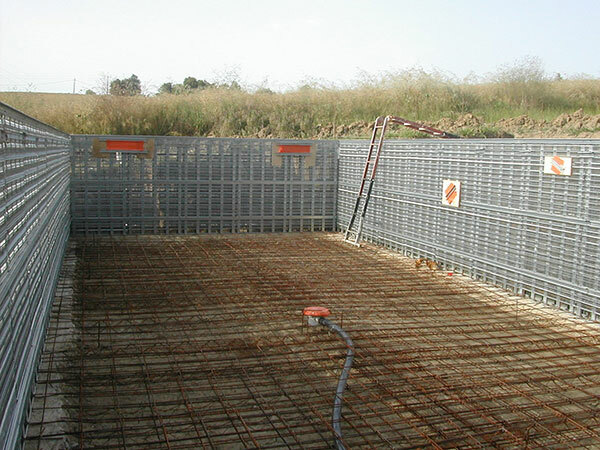 The technique of reinforced concrete formwork is the method used for civil engineering structures (bridges, hydro dams, reservoirs …). MARINAL has the patent for this construction watertight method for its concrete swimming pools.MARINAL applies the same technique for the pouring of concrete for the construction of its one-piece reinforced concrete swimming pools. The MARINAL technology was awarded twice at the World Swimming Pool Show in 2004 and 2008 for its construction innovations. The reliability of MARINAL concrete swimming pools results from the fact that the whole structure of the swimming pools is designed with a continuous reinforcement. Galvanized steel panels are assembled in one piece. The concrete can then be poured on the bottom and the walls of the pool in only one step. The concrete sets in one go; this ensures a perfectly homogeneous one-piece structure. The concrete structure is self-supporting; it resists to external thrusts of the soil, and is steady thanks to its own weight. 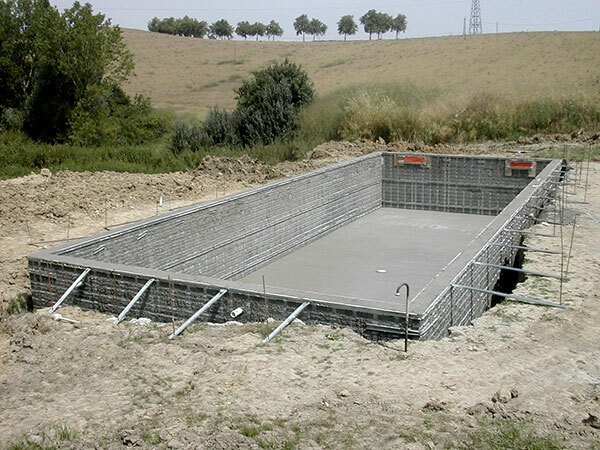 An empty standard swimming pool weighs from 40 to 50 tons. Installation of the future swimming pool: altimetry, connection to level 0. Levelling: soils evacuated or spread on site. Assembly of the MARINAL steel structure according to the chosen shape. Horizontal reinforcement + alignment and shoring + crossings of walls. Implementation of the reinforcement for the bottom slab (2 layers of welded wire mesh) + main drain. Concrete supply (plants complying with European standards). One-go pouring with a concrete pump (16 cm walls + 20cm bottom slab). Realisation of the upper edge. Creation of stairs, according to the chosen shape. Connection of pipes and filtration in the control room. Embankment of the swimming pool surroundings with pebbles. Implementation of the walls and bottom coating. Water filling, tests and starting up. 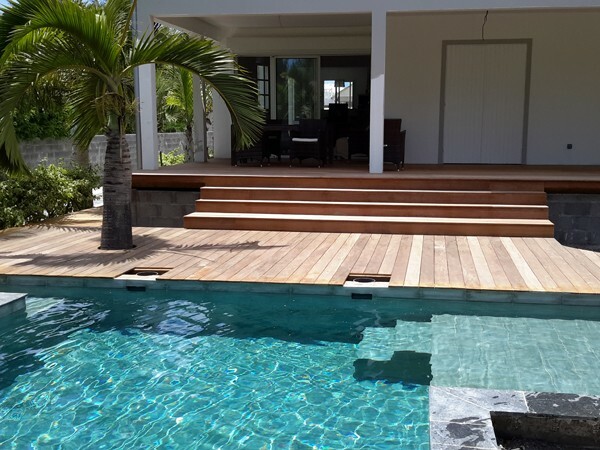 Should you have any question about our structures manufacture method or about the construction of our traditional swimming pool, please contact us via our contact form. The seismic construction constraints are taken into account through a reinforcement of the galvanized steel implemented into the structure and additional frameworks.